Sumner Redstone will not have to submit a deposition to help determine his mental competency. The decision came Thursday after Redstone's lawyers said they were removing him from a list of possible witnesses at trial, which is scheduled to start in about three weeks. Redstone's ex-girlfriend, Manuela Herzer is seeking to have Redstone, 92, deemed mentally incompetent when he rescinded her decision-making authority over his health affairs last year. 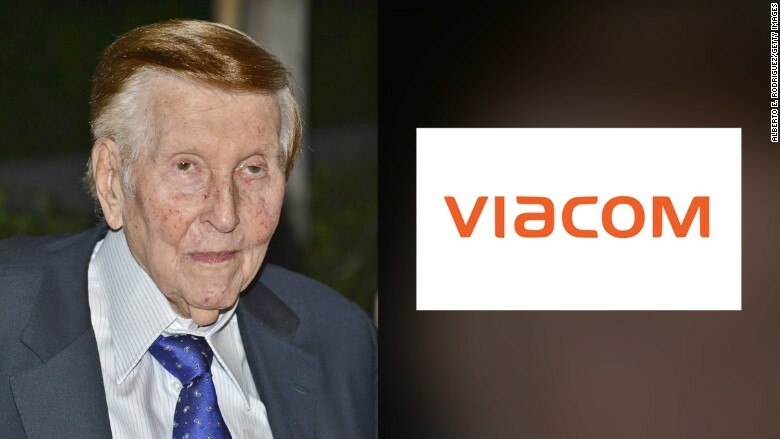 Herzer's attorneys have argued that if Redstone, the former chairman of Viacom (VIA) and CBS Corp (CBSA), was going to testify at trial, he should be ordered to give a deposition during the discovery phase. Now, Redstone's attorneys say he won't be listed as a potential witness. Herzer's lawyer claim the judge's ruling was a victory. "The failure to produce Redstone dooms their defense," attorney Pierce O'Donnel said in a statement. "Without Redstone testifying, they cannot demonstrate his mental competency in the face of distinguished expert psychiatric reports and a mountain of evidence that Redstone is tragically incapacitated and unable to make his own health care decisions." Redstone's legal team did not respond to requests for comment. Redstone gave Herzer control over his health affairs while they were still in a relationship, but the pair separated last October. That's when Redstone signed a health care directive that rescinded her decision-making power. Herzer has been fighting to have a judge discredit that document, saying Redstone is a "living ghost" who "lacked the mental capacity" to make the decision. An image of the document shows Redstone's signature as an illegible scrawl. Redstone's legal team have claimed in court papers that Herzer is more concerned with Redstone's wealth than his health. Herzer stood to inherit millions and his mansion in California before Redstone ended their relationship.